Feeling a little hyper, anxious, ansy, energetic? I am. And I think I found out why. From a purely spiritual perspective, today is supposed to be a really important day. Each year, the Lion’s Gate Portal, a stargate, opens from July 26 to August 12. This powerful portal of light transmission reaches its peak on August 8th (8/8). Well, today its potency and frequency are even stronger because in numerology terms it is 8/8/8 (2+0+1+5). A triple 8 stargate. The number 8 is also associated with harmony, balance and abundance. When placed on its side, it is the symbol of infinity. This is a powerful time that gives us the opportunity to make very big changes and transitions in our lives, in particular to move toward our most authentic selves, our truth or own light. 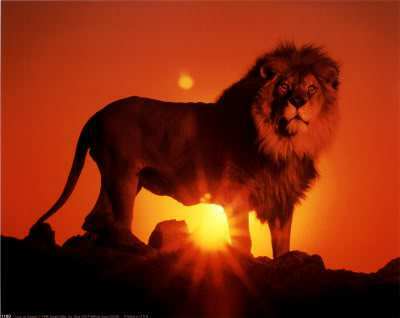 With the sun in LEO, this week also begins the last cycle of the moon, culminating in a powerful LEO new moon on August 14th – which also just happens to be my birthday. It is also the historical moment when the constellation of Leo aligns with the Pyramid complex at Giza. Plus, today is the midpoint of astronomical summer, halfway from the June solstice to the September equinox. That means there is still a whole half of summer before us. And this huge tidal wave of energy will continue to grow and prepare us for September eclipses. And I love me an eclipse.I searched around on the interweb of things and there’s a lot of talk about how the passing of Cecil the Lion may fit in to this specific time alignment. Many believe that Cecil’s passing was a message about life and sacrifice and love and compassion. It certainly brought my attention and appreciation to the preciousness of all divine creatures. Except maybe dentists. So how can we tap into this energy to allow for our evolving consciousness to get full benefit during this time. I don’t know about you, but I could use it. Where are you right now? It’s all that there is. Be there with open eyes, open ears, open hearts and open minds. Bring your best self to every moment. The 23rd Psalm tells us that we have a shepherd and there is no reason to want anything – for it is all laid out before us. In green pastures and still waters. (Makes me want to go golfing!) If we let go of what limits us, we can put one foot in front of the other and follow our inner GPS. Don’t be afraid (fear no evil) to listen to how you feel and move toward your best thought. You are being guided. Take one day to really believe that and you will be amazed at what happens. This is the time to speak your truth. That’s doesn’t mean to rip anyone’s head off. It just means to make sure the voice that you are using is yours. Not the critic that lives in your head who sounds a lot like your mother. Be gentle and kind with your words, but never compromise what you are saying. The expression means if you get out of a difficult situation, don’t go back to it. Not even in your mind. There’s no need to replay old movies in your head. Move forward. Release the people and the things in your life that are no longer serving you. You’ll make space for all kinds of new relationships and adventures. You know who they are. The people who make you feel loved, make you laugh, give you their shoulder. Your soul needs all the nurturing you can muster. Do everything that you do that makes you feel good about yourself. Eat well. Sleep well. Exercise. Wear your good jewelry. Light candles. Let your freak flag fly. Be proud of who you are and what you have accomplished. Personally, I feel pretty proud of myself, like I have just hung up my gladiator sandals and no animals were harmed. Now, if I could just get my mane to grow back, I’d really roar. And I’m going to go through my jewelry and pick out the stuff that really makes me feel good about myself. Now, where did I put that gold lion medallion with the heavy chain?